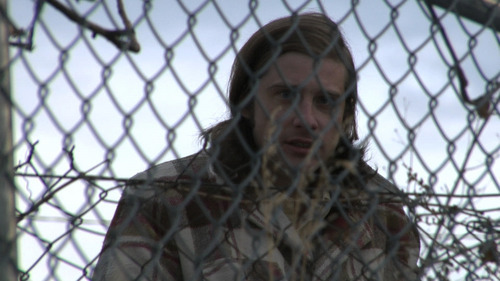 Third annual • Filmmaker cites city's "thriving alternative subculture" as selling point of the Salt Lake City Film Festival. 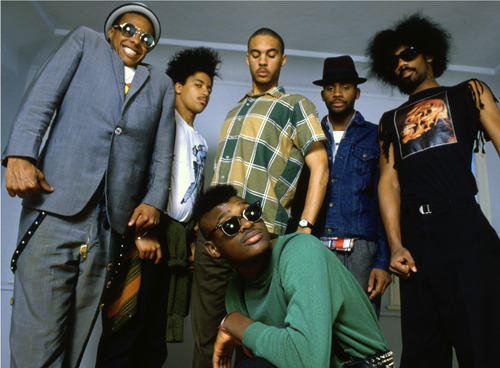 The members of Fishbone, the African-American punk band featured in the documentary "Everyday Sunshine: The Story of Fishbone," screening at the Salt Lake City Film Center, running Aug. 18-21. 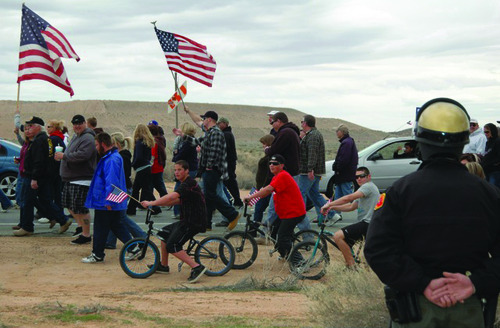 Ann Summa | Pale Griot Films Courtesy photo Miners in Boron, Calif., protest a lockout by their employer, Rio Tinto, in Joan Sekler's documentary "Locked Out," playing at the Salt Lake City Film Center, Aug. 18-21. 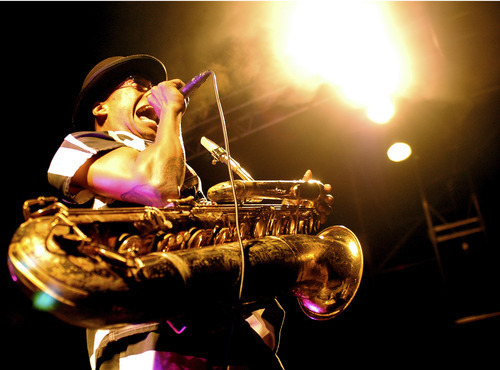 Angelo Moore of Fishbone, the African-American punk band featured in the documentary "Everyday Sunshine: The Story of Fishbone," screening at the Salt Lake City Film Center, running Aug. 18-21. Christian Pitot | Pale Griot Films Angelo Moore of Fishbone, the African-American punk band featured in the documentary "Everyday Sunshine: The Story of Fishbone," screening at the Salt Lake City Film Center, running Aug. 18-21. Christian Pitot | Pale Griot Films Eddie (Kentucker Audley) is a humorless man who tries to impress a beautiful drifter (Eleonore Hendricks) by performing a stand-up comedy act in Dustin Guy Defa's filmed-in-Salt Lake City drama "Bad Fever," screening at the Salt Lake City Film Center, running Aug. 18-21. Ryan Wickerham (left) and Brent Smiga are stuck in an elevator in Jen White's drama "Between Floors," screening at the Salt Lake City Film Festival, running Aug. 18-21. 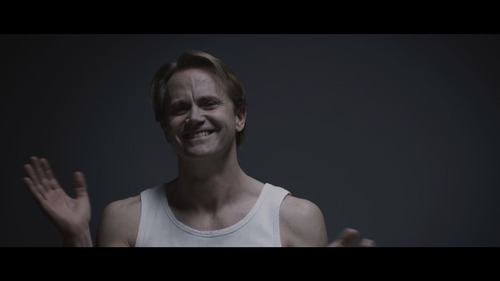 Lee Tergesen (from TV's "Oz") plays one half of a couple that hits the road to role-play with strangers in Simon Arthur's "Silver Tongues," the opening-night film of the Salt Lake City Film Festival, running Aug. 18-21. The festival continues Friday to Sunday, Aug. 19-21, at the Tower Theatre, the Post Theater at Fort Douglas and Brewvies Cinema Pub  with 15 features and an array of short films from around the world. "It's great, it's the first time we've ever opened a festival  it is a really big honor," said Arthur, whose film took the audience award at this year's Slamdance Film Festival in Park City. Chris Bradshaw, the festival's co-director, said "Silver Tongues"  in which a couple (played by Enid Graham and "Oz's" Lee Tergesen) take to the road to role-play with strangers in disturbing ways  "messed me up for a while." "I actually applied to 50 different film festivals in almost every state," Sekler said. "I was especially interested in the one in Salt Lake City and the one in Grand Rapids, Mich."  about an hour from Marquette, in Michigan's Upper Peninsula, where Kennecott has a mining operation. "The festivals I've been in are not the big ones like Sundance," Sekler said. "They're in cities with a lot of working people, with a lot of unemployment." Even so, she said, audiences have been thrilled with her film  which tells a story where (spoiler alert) organized labor wins out over corporate interests for a change. Long ride • Jen White's day job  she's a cinematographer who's working on reality shows for MTV's Spanish-language channel Tr3s  might keep her from coming to Salt Lake City along with her movie, the drama "Between Floors." Her movie intercuts five stories, each taking place in a stuck elevator. "There are certain festivals where you think you're getting there and there will be a certain level of organization, because of the length of time it's been running. But you get there and they haven't done any advertising," White said. "Or you get there and you think it's some regional festival, but they totally have their s- together. … Most of them have been good surprises." The Post Theatre, 245 Fort Douglas Blvd., University of Utah campus. Tickets are $10 per screening (plus convenience fees), available at the festival website, http://www.saltlakecityfilmfestival.com.